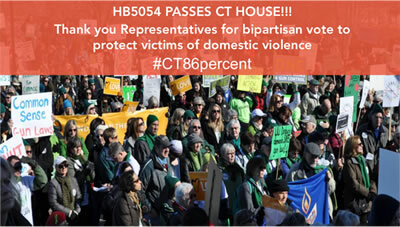 We are very pleased that HB 5054 An Act Protecting Victims of Domestic Violence was passed late last night by the Connecticut House of Representatives! The bill will save lives by requiring subjects of temporary restraining orders to surrender their firearms within 24 hours of service of the order. Women are at heightened risk when taking court action against abusers. And when a gun is present in a domestic dispute, women are five times more likely to be killed. So swift removal of firearms from abusers is critical. This bill does just that! Only with your support in urging your legislator to vote in favor of the bill, could the bill have passed by such a substantial, more than two-to-one margin: 104 voted in favor, only 42 against. 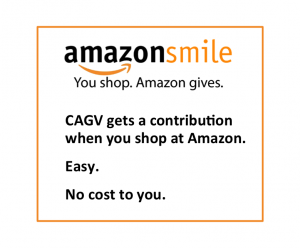 There is no substitute for the effective advocacy from supporters like you. Now we must complete the task by completing the job in the Senate. Again, we ask you to simply click here to send a message to your State Senator asking them to support HB5054.